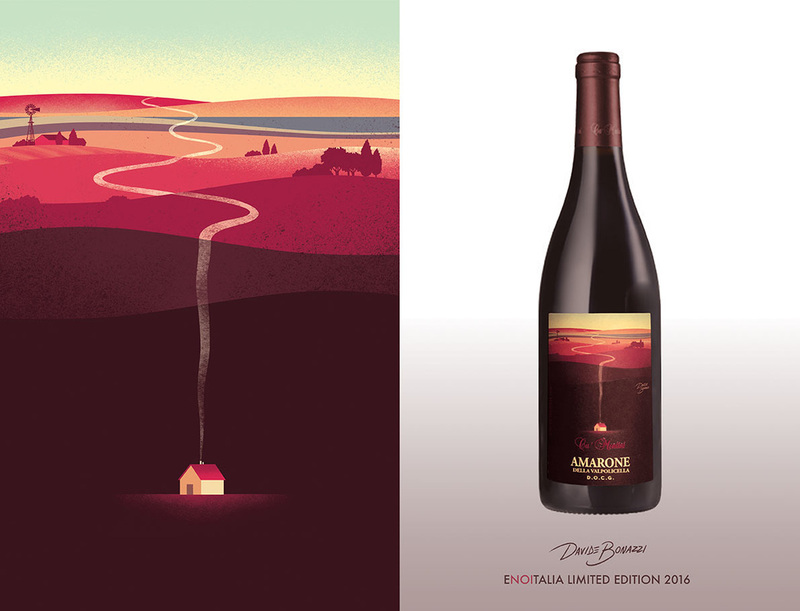 Italian wine producer Enoitalia launched a series of limited edition products with the purpose of restyling some of their historical brands, and asked four artists to design fresh new label artworks. 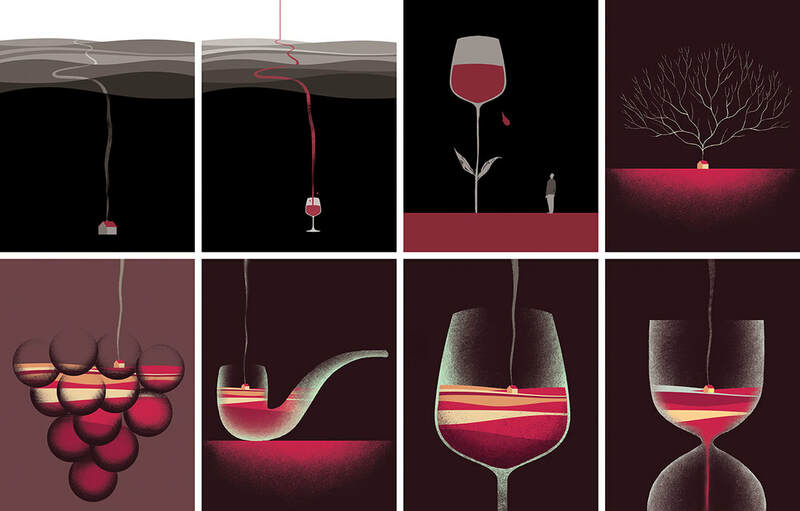 This is the art I made for Amarone wine by Ca' Montini. 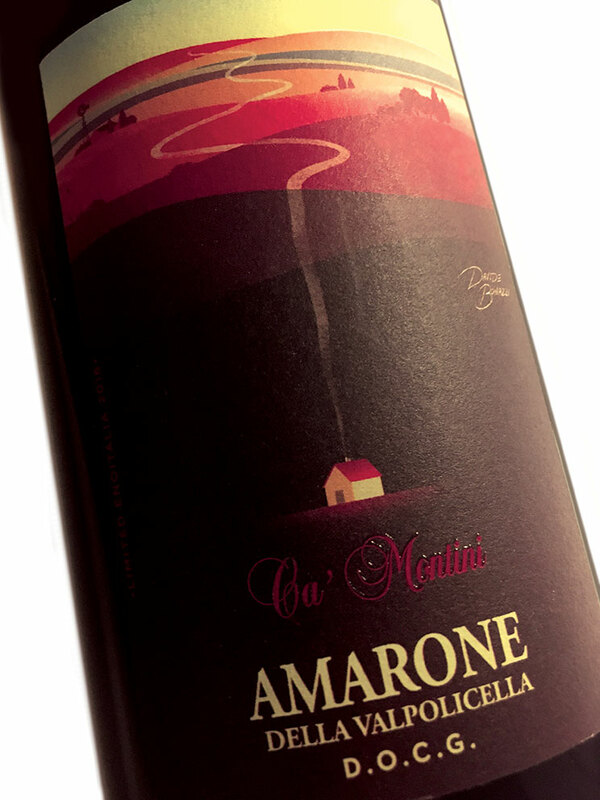 Amarone is a typically rich Italian dry red wine, rarely released until five years after the vintage. ​The label art recalls the features of a full-bodied, meditation wine: the smoke out of the chimney evokes the way home as well as it represents the long process the wine takes from the cultivation to our tables. The Limited Edition has been disclosed at international wine exhibition Vinitaly on April 2016. 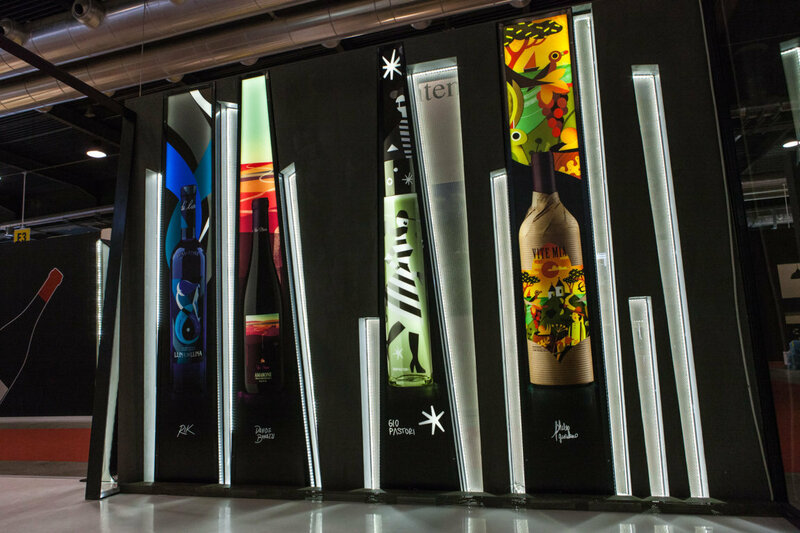 Enoitalia's stand featured a three-metres-tall structure with four backlighted panels showing the artists' creations. ​Besides mine there were the beautiful artworks by Riccardo Guasco, Gio Pastori and Philip Giordano. Below are some of the rejected sketches I worked at before moving forward with the first concept.